A quick method of leaving ink on skin in Borneo tattoo has been documented to exist at the time of needle application. The Kayans have actually used carved wooden blocks to help with the process of tattooing. Wooden blocks are carved with the relief of the tattoo designs, rubbed in ink, and stamped into the area of the body whereupon the design is gone over another time with hand-tapping tattoo (Hose C. and Shelford R., 1901). 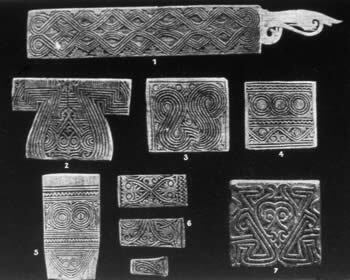 Kayan tattoo stencil blocks, called “Kelingai” courtesy of Sarawak Museum. 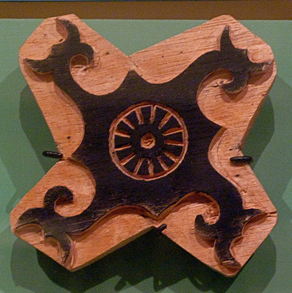 Tattoo block used by the Kayan in Sarawak, Malaysia, from 1923. Courtesy of Pitt Rivers Museum, Oxford, England. 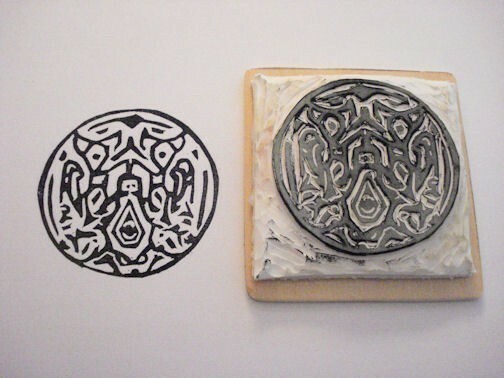 A carved wood tattooing ink block, featuring Aso motifs. From the late 19th century to early 20th century. There are also rubber stamps marketed today that serve the same purpose; to act as a base for the tattoo artist to trace with needle application. Some also target wearers who wish to have temporary designs on their skin. Temporary tattoo types vary today, and range from water transfer sheets, to rubber stamp and ink, even to the use of a traditional material, the henna. One other growing use of temporary tattoos is to mark patrons for entry into an entertainment establishment or to big events like art festivals and music concerts. It is this later development that brought to public eye the interesting use of glow-in-the-dark ink. An unmounted rubber stamp featuring a tattoo motif by “dragonflycurls” for sale on Etsy. You can easily wear Borneo tattoos on your body, even without them being permanent ones. As we are moving forward today to new methods of application, one cannot overlook this extremely non-invasive, safe, and non-permanent way of wearing your favorite tattoo motif. Make your own tattoo stamps, have fun!